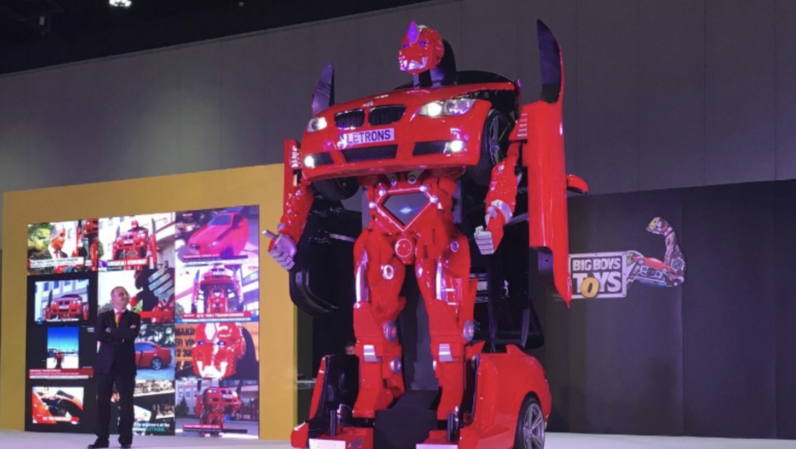 The idea of owning a real Transformer is now a reality thanks to BMW. If you’ve got deep pockets, and a plane ticket to Abu Dhabi, you can own ‘Antimon,’ the BMW 3-series that transforms from car to robot in 30 seconds. It’s not drivable or street legal, but you can pilot Antimon by remote control. The car is capable of speeds up to 12 miles-per-hour and, once transformed, can move its arms, fingers, and head. It’s basically the world’s largest RC car. This one, however, transforms. Oh, and it’s up for auction in Abu Dhabi with an opening bid of $600,000. All told it took 12 engineers and four technicians from Turkey 11 months to create Antimon. The group hopes it’ll be the first in a series of 12 just like it. Currently, the team behind Antimon is seeking funding to help build a future model you can actually drive.